Bare took the lead at the halfway point of the 50-lap race when early leader Kenny Peeples of Rural Retreat, VA slowed on a restart. Once in the lead, Bare checked out on the field to take a 4.727 second margin of victory over a driver that Bare admitted intimidated him on a restart. 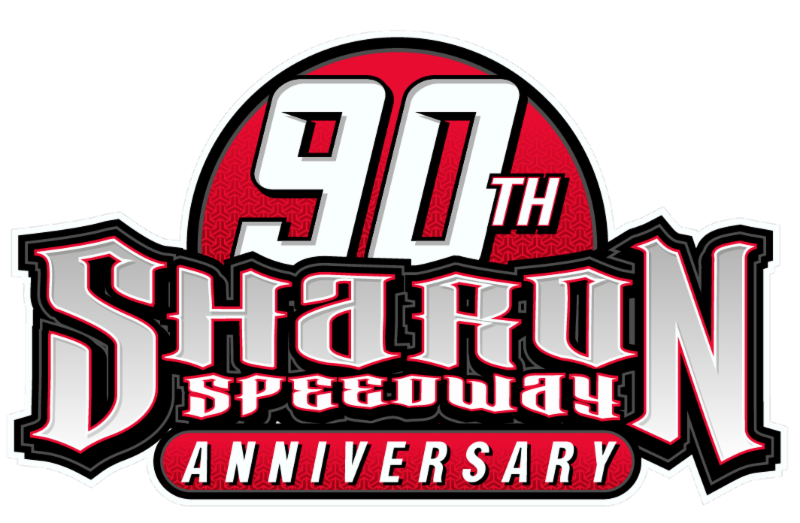 Davenport started ninth and finished second to earn the Hard Charger of the Race Award driving the C&H Paving Barry Wright house car. Davenport had an exciting side-by-side battle with former FASTRAK Champion Ron Parker of Belwood, NC. Parker finished third in the Schaeffer Oil Rocket. FASTRAK Pro Late Model Series South East Region point leader Matthew Nance finished fourth in the Diversified Finishers Longhorn, and Teddy Tate of Rural Retreat, VA took the fifth spot in the R&C Towing CVR. 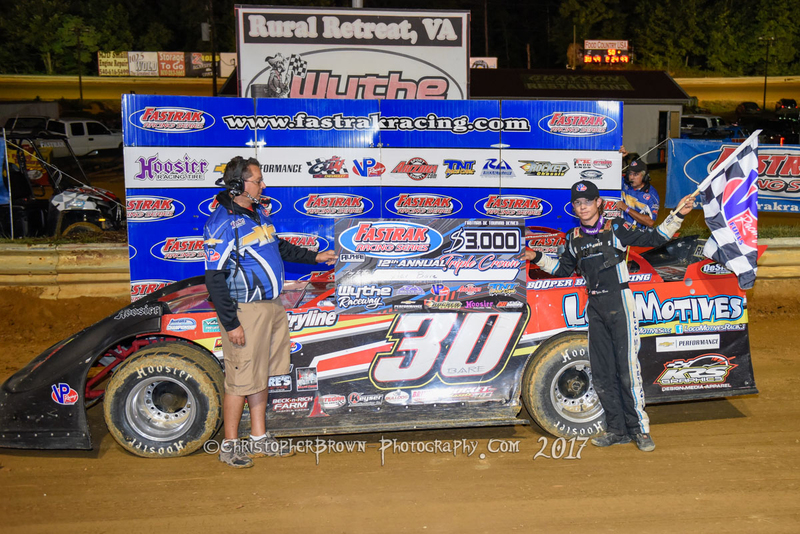 Brent Hilton of Rural Retreat, VA was sixth in the Cedar Springs Fish Farms Barry Wright, and Lance Reynolds of Max Meadows, VA drove the Reynolds Racing Warrior to a seventh-place finish. Terry Cregger of Crockett, VA took the eighth spot in the Grayson Restaurant Barry Wight and Benji Hicks of Mt. Airy, NC finished ninth in the T&K Enterprises Longhorn. The defending FASTRAK Champion Cla Knight of North Augusta, SC rounded out the top ten in the Augusta Aquatics Longhorn. In preliminary action, Peeples was the Fast Qualifier, touring the ½-mile high-banked clay oval in 17.775 seconds driving the Hilltop Auto Wholesale Barry Wright. The two eight-lap Heat Races were won by Bare and Peeples. Bare continues to lead the FASTRAK MOV standings with 133 points, but there is a logjam behind him in the Top 5. Parker is second with 115 points, while Hicks and Nance are tied for third with 114 points apiece. Jensen Ford of Piney Flats, TN is fifth with 112 points. Ford was involved in a lap 29 accident and finished 14th in the Tim Byrd Motorsports TNT. Nance remains the FASTRAK SE point leader, as the point lead failed to change hands after a race for the first time this season. Nance has 241 points to hold a six-point advantage over Parker , who climbed up to the second spot in the FASTRAK SE standings 235 points, Hicks is third with 231 points, Ford is fourth with 225 points, and Knight is fifth with 223 points. After the first two jewels of the 12th Annual FASTRAK Triple Crown, Bare leads the standings with 67 points, and holds a three point lead over Parker, who has 64 points. Hicks and Hilton are tied for the third spot with 60 points apiece, and Nance is fifth with 56 points. Knight is sixth with 53 points and Ford is seventh with 51 points. Corey Almond of Appomattox, VA and Tate are tied for eighth with 47 points apiece, and Brandon Umberger of Rural Retreat, VA rounds out the top ten in the FASTRAK Triple Crown points with 45 points. The third and final jewel of the 12th Annual FASTRAK Triple Crown will be a $2,500-to-win race on August 5 at Princeton Speedway in Princeton, WV. Peeples took the lead on the first lap followed by Bare, Hilton, Hicks, and Ford. The third lap saw Ford work to the inside of Hicks of take over the fourth spot. The first of three caution flags came out on lap five when Chase McCormick of Dobson, NC stalled the Long Brothers of Smithfield Rocket in turn two. Peeples chose the outside for the FASTRAK Double-File Restart with Bare, Hilton, Ford, Hicks, Parker, Davenport, Cregger, Nance and Tate in the top ten behind him. Ford got an inside run on Hilton coming down the front straightaway on lap six to move up to the third spot, and Parker got by Hicks to take over the fifth position. Peeples was able to maintain a two to three car length advantage on Bare, while Ford was able to keep the two leaders in sight from the third position. Peeples and Bare began to encounter the cars on the tail end of the lead lap by lap 18. Jon Painter of Stuarts Draft, VA made hard contact with the turn two guard rail in the Arborlife Rocket to bring out the second caution flag of the race, which turned to a red flag to give the safety crew proper room to work. Painter was able to walk away uninjured. Peeples led Bare, Ford, Hilton, Davenport, Parker, Cregger, Hicks, Nance, and Knight down for the restart. When the green flag was waived to signal the restart, Peeples’ car was slow coming up to speed and Bare bolted out to the lead. As Peeples fell back through the field like a rock, top ten drivers either scrambled to miss him, or braked hard to keep from making contact with him. Davenport and Parker moved up to second and third respectively after restarting fifth and sixth and Nance came from ninth up to fifth. Ford restarted directly behind Peeples on the restart, and he had to brake hard to keep from hitting Peeples, and dropped out of the top five. Ford would cross paths with Peeples one more time. Going down the backstretch on lap 30, Peeples cut down a right-rear tire, and in his effort to get out of the racing groove, he came across the front of Ford’s car. Ford cut hard left trying to avoid contact, spun and hit the inside guard rail on the backstretch. That brought out the final caution flag of the race. Bare was able to clear Davenport on the restart and then he began to check out on the field. Behind the leader, there were several position changes among the top ten drivers. Hicks made a charge to move up to the fourth spot on lap 31, but Nance and Hilton kept it a hard fought battle for the fourth position. Nance put his car past Hicks on lap 32 for fourth, and lap 33 saw Tate move up to the fifth spot and make it four-car battle. Parker closed up on Davenport on 35 to engage in the side-by-side battle for the second spot. With ten laps to go, Bare had a half straightaway lead over Parker and Davenport. Lap 47 saw Davenport get an inside run to clear Parker for the second spot, but Bare was long gone with a full straightaway lead. The next race for the FASTRAK Pro Late Model Series South East Region will be on Friday night with a $2,000-to-win, $250-to-start 40-lap event at 311 Motor Speedway in Pine Hall, NC. 1ST HEAT: 1. Bare; 2. Hilton; 3. Ford; 4. Cregger; 5. Davenport; 6. Knight; 7. Reynolds; 8. Almond; 9. Painter. 2ND HEAT: 1. Peeples; 2. Hicks; 3. Parker; 4. Nance; 5. Tate; 6. McCormick; 7. Sant; 8. Umberger; 9. Arrington.